After a protracted confirmation battle that resurrected a raw, nation-wide debate about the agency’s post-9/11 use of enhanced interrogation techniques – thought by many to have constituted torture – Gina Haspel will officially become director of the Central Intelligence Agency. She is the first operations officer in more than five decades – and the first-ever woman – to be named to the role. On Thursday, the Senate voted, 54-45, to confirm Haspel, one day after the Senate Intelligence Committee, in a 10-5 vote, reported her nomination favorably. President Trump nominated Haspel to the post in March, in a tweet, while announcing that her predecessor, former CIA director Mike Pompeo, was being tapped to lead the State Department. 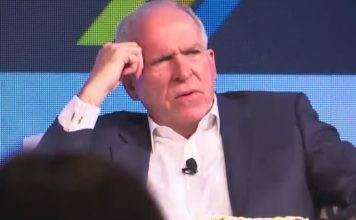 Much of Haspel’s thirty-year career at CIA was spent in the clandestine service, and remains classified. Her reported oversight, in 2002, of a secret “black site” in Thailand – where detainees were subjected to enhanced interrogation techniques, including waterboarding – generated widespread controversy and ardent condemnation from civil rights groups. 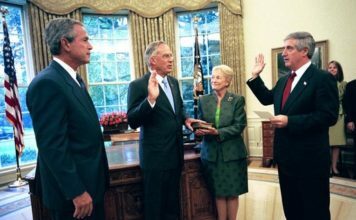 Her involvement in ordering the destruction, in 2005, of 92 videotapes – some of which documented the interrogations – while serving as chief of staff to then-Director of the clandestine service Jose Rodriguez was also roundly criticized. “Her refusal to acknowledge torture’s immorality is disqualifying,” McCain said, citing Haspel’s reluctance, during her public hearing, to provide a “yes” or “no” answer to a question from California Democrat Senator Kamala Harris on the subject. McCain’s opposition became a key factor in swaying Arizona Republican Senator Jeff Flake’s vote, and was cited by a number of Democrats who spoke out against her nomination in the following days and, just before the vote, on the Senate floor. “There is no greater voice on this subject than John McCain’s,” said Senator Ron Wyden, D-Oregon, citing his “powerful and unimpeachable views” as reason to oppose Haspel’s candidacy. 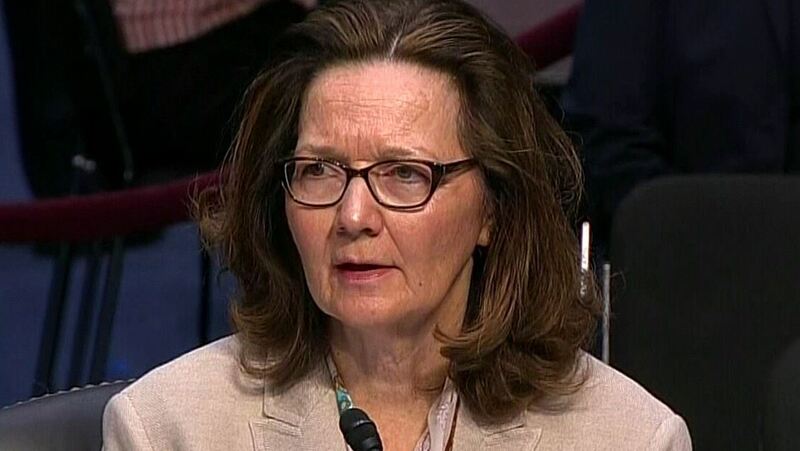 As he had done in the weeks leading to the vote, Wyden also criticized parts of Haspel’s background, the extent to which it remained classified, and her reluctance to admit, during her hearing, that the interrogation program was morally objectionable. “This nomination process has been a disservice to our constitutional duties, to our democratic principles and to the American people,” Wyden said. “I strongly believe that we, as Americans, have a duty to look squarely at our mistakes, and to not sweep them under the rug, but to learn from them, and in the future, to do better,” Warner said.